The two great “peaks” of the worship experience are Word and Sacrament. The Sunday preaching texts are part of a three-year cycle of readings. 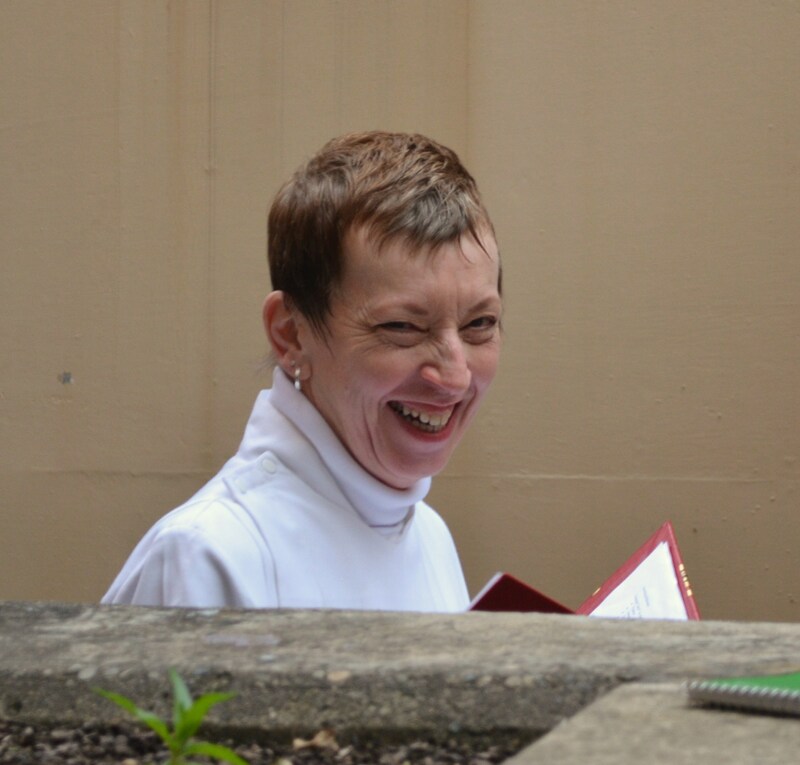 Sermon, hymnody, choral and instrumental music reflect the thematic of these texts; Music Ministry is a vital part of worship and life at St. James. Familiarity with worship forms comes from regular participation in the Sunday Assembly – it is, we are NOT ashamed to say, acquired behavior!!! 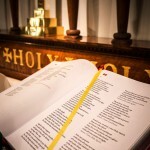 Worship bulletins with texts, hymn and psalm notes, the “new” red hymnal (Evangelical Lutheran Worship) — and friendly help from your neighbor in the pew and the ushers will help you if you are a newcomer. 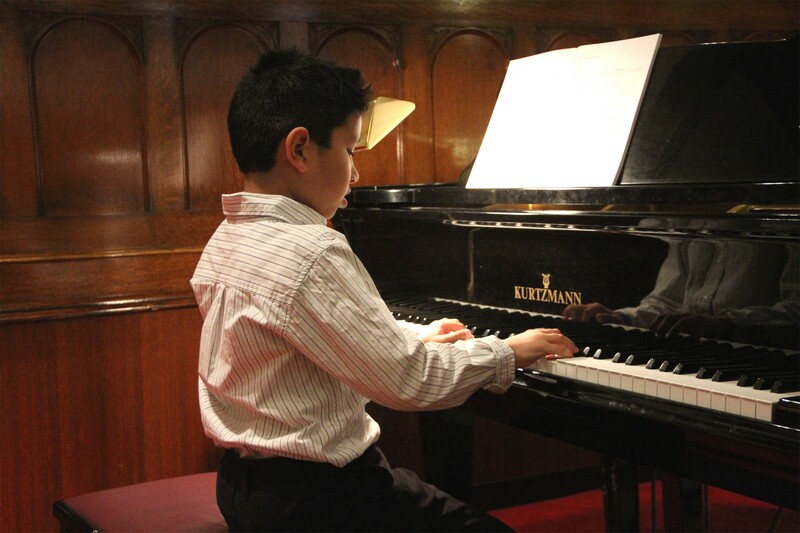 Be patient – you may help us to discover elements of music and text we hadn’t noticed! The Sunday liturgy is an opportunity not only to gather together as a community of faith, but to open our doors to everyone, sharing God’s love with all. We hope you will join us for worship, sing with us in the choir, or join our handbell choir! Contact the Church Office at 503-227-2439, for more information. Find Driving and Parking Directions here. 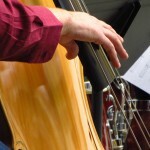 This 45 minute jazz musical setting of the Evening Prayer liturgy is held on the third Sunday of each month at 5:00pm. Professional jazz musicians and vocalists lead this reflective service with scriptural reading, psalms, hymns, and prayer. Preludes and postludes from the broad jazz repertoire precede and follow the service. Families and children are welcome! 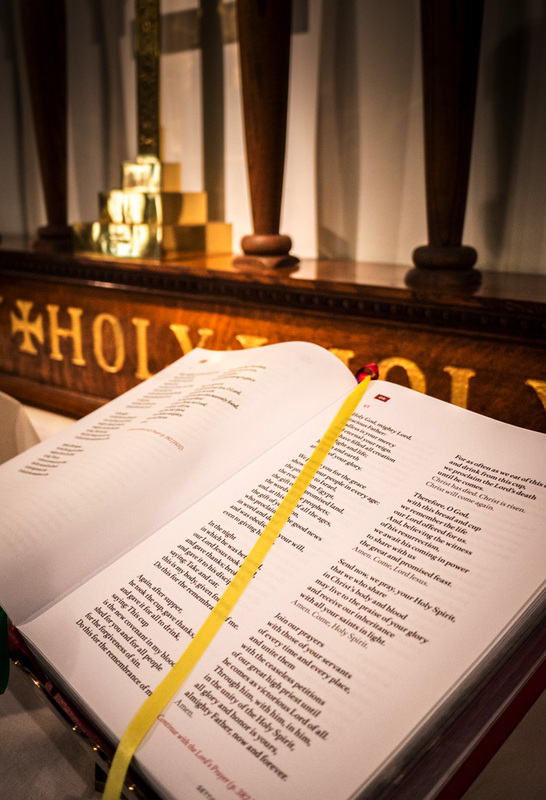 Click below to listen to The Lord’s Prayer sung during the Jazz Vespers. The Bach Cantata Vespers Services at St. James are unique to Portland as they present Bach’s cantatas in the historical context for which they were created. Presented with the same readings and spiritual milieu that inspired Bach to compose his cantatas, listeners are enriched in hearing Bach’s works in their sacred context. 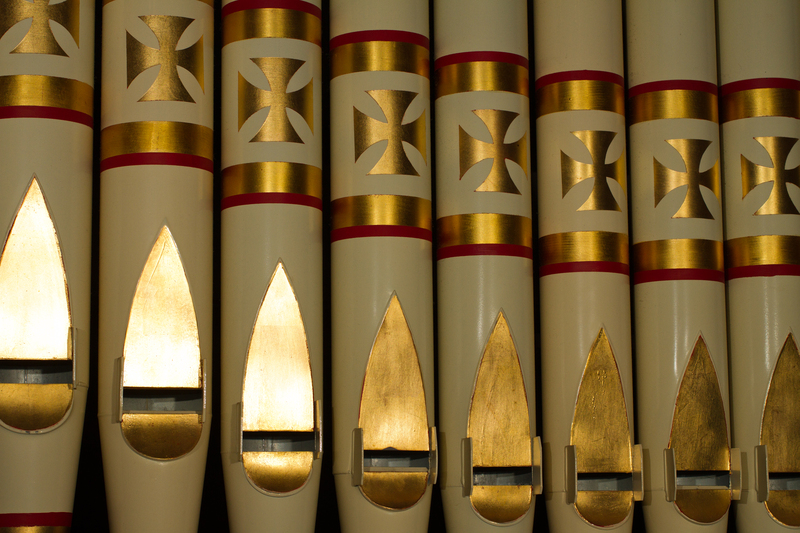 Portland’s finest instrumentalists, vocal soloists, and organists join with the St. James Bach Choir in the Vespers now in its 14th season and drawing over 200 persons to each evening service. Newly commissioned motets by contemporary American composers are another feature of the event, bridging the old and the new. The St. James Choir continues a long and distinguished congregational tradition of liturgical and concert singing. 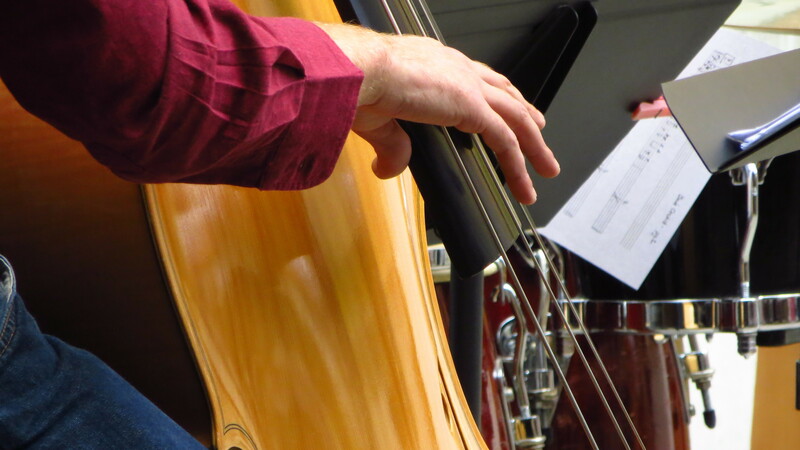 Their repertoire includes a wide range of music from composers of the Renaissance and Reformation periods to contemporary works by local and nationally-known composers, such as Timothy Nickel, Frank Ferko, and others. 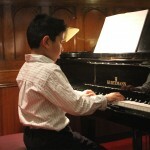 Members rehearse every Thursday evening from 7:30-9:15pm during the program year (September through early June). Most choir members also participate in the Bach Cantata Vespers Services. People of all ages are invited to sing with us! 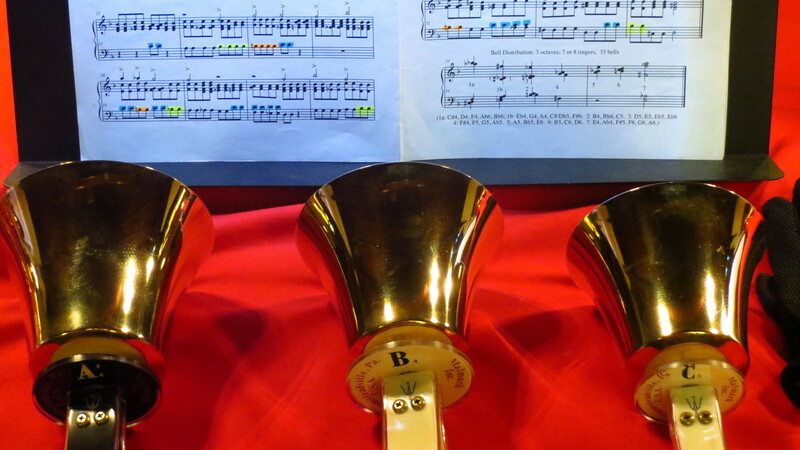 The St. James Handbell Choir contributes to Sunday morning and occasional liturgies throughout the year. 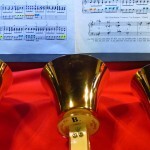 Music will be selected based on the number of ringers who volunteer! No prior experience with bells is required; just a willingness to learn and make music in a team setting! 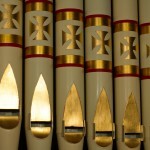 The three manual Pipe Organ incorporates some of the ranks from the original 1908 Estey tracker pipe organ. Originally only 9 ranks, this instrument was electrified and reconditioned in 1949, then re-built and expanded in 1989 by Portland organ builder Richard Bond to include 32 ranks with three manuals and pedal. Five original Estey ranks were retained in the Antiphonal division in its former chamber on the main floor. The new Great and Swell were installed in the rear balcony gallery. Read about the Architectural History of St. James.